Jason James Burnett, accompanied by his daughter Faith and wife, Heather, poses at his mother-in-law's home, Nov. 26, 2018, in Chico, Calif. After losing their Paradise, Calif., home two weeks earlier in the Camp Fire, Burnett received the news that Gov. Jerry Brown had granted him a pardon for the drug conviction he'd gotten when he was barely 18. Jason Burnett said he detected a faint feeling of disappointment from his wife when California Gov. Jerry Brown pardoned him for an old drug crime less than two weeks after the couple lost their home in the nation's deadliest wildfire in a century. Heather Steels Burnett had applied for a pardon too but didn't receive it last month like her husband. "She's like, 'I didn't get mine,'" Jason Burnett, 44, playfully recalled her reaction. That changed Monday when Brown also erased an old drug conviction for Heather Burnett, saying she had lived "an honest and upright life" since completing her sentence more than 15 years ago on a charge of possessing ephedrine with the intent of making methamphetamine. Brown noted that Heather Burnett now works as a drug counselor. She was among 143 pardons and 131 commutations Brown issued on Christmas Eve. Another person who lost his home in the fire, Kyle Hathaway, was among those pardoned. 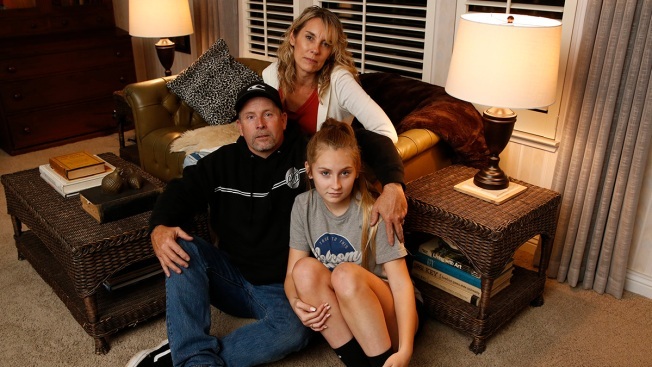 The pardons have been bright spots in what has been a difficult period for the couple and their 14-year-old daughter, Faith. The Burnetts' home in Paradise was among nearly 14,000 destroyed in the wildfire last month that claimed at least 86 lives. Jason Burnett said on Christmas Day that they "teared up" when they learned of Heather Burnett's pardon by the governor's office. She said she was in shock and initially skeptical that it was really someone from Brown's office calling with the news. "Then it sounded kind of legit," she said. Heather Burnett, 49, rescued the family dog when the fire swept through Paradise on Nov. 8 but then spent hours trying to escape flames closing in around her. She called her husband to say goodbye in case she didn't make it out alive. The family recently moved into a new home they purchased in nearby Chico and were painting rooms over the Christmas holiday to "get it to feel like home," Heather Burnett said. She said her husband's pardon raised her hopes of receiving one, and she wasn't disappointed "one bit" by his good news. Brown pardoned Jason Burnett before Thanksgiving for his conviction more than 20 years ago on a charge of manufacturing a controlled substance. The governor's office said at the time that the wildfire played no role in the decision. "He was so deserving of that, and it couldn't have come at a better time," Heather Burnett said. Still, with many people still struggling after the blaze, there's no celebrating, she said. "It's sometimes hard to be happy for some of our blessings when there's other people that are really suffering with the loss of their homes and also the loss of a town, which is in itself devastating," she said.